A real “dear laurel” letter about window panels. I want to have 2 faux window panels made to hang on either side of my living room/dining room french doors. There is very little space between the wall and window on the side near the dining room (only 18″) and a lot more space on the other side. I don’t want to block any of the light coming from the window since the room is really dark. Would it look incorrect if the panels were different sizes? Should I hang 1 long rod above the french doors which would need to be 212″ OR use two smaller rods on each end with finials? But, I decided to take this one on because there are common issues once again. Would it look incorrect if the window panels were different sizes? YES! It would and it’s totally not necessary. There is plenty of room on the small side for the drapes. But… it will need to be a custom rod that screws together and it will need five brackets to hold it up. I found a company that has 27 amazing reviews on Etsy called Ady Escalante. If they can make a rod like the one above, they can do anything. However, if you want to know my source for wrought iron drapery rods, you’ll need to purchase Laurel’s Rolodex for the answer. I tell you guys 99.9% of the sources I know and use, but that one is sacred. And just as a reminder, there’s a new edition of the Rolodex coming out on November 1st and then the price is going up on November 13th. Everyone who owns the current rolodex will get the update. As for the faux window panel. I think what Susan means is a stationary panel. It’s still a real panel. It’s just not meant to close. But… it should look like it could close, so I would do a double panel for a window this size. Because if you send me a room and I see something, I’m going to say something. Are there any other platitudes you’d like to share with us Laurel? Okay, fine, but I have a lot to say. And Susan can ignore any and all of this. She didn’t ask and that’s also why I’m doing this. lol Besides, it’s fun. Window Panels? Ehhh…yawn… But, if you’d like to know more about them click here, here and here. And here! Yes, I realize that the furniture is pushed out-of-the-way and maybe there are some other things I can’t see, but what I am seeing is another case of room identity crisis. And I’ve dealt with this more often than not, so if I may, I’d like to share some things that I think will make a big difference and pull this space together a lot better. The good news is that Susan knows how to sew and I bet that she’s good at it. This is a talent that I wish I had. But I totally lack the coordination and patience to do a good job. So, let’s jump in and take a look at Susan’s room. Here, we can see the looooooong window which is actually two sets of sliding French doors. And yes, it’s off-center, but eyeballing it, I would say by only about 12″ which is quite annoying. If there’s a compelling reason, fine, but that’s doubtful. The small wall. There’s enough room for a panel. There should be a few inches of breathing room in this case. And yes, the first pane of glass will most likely need to be covered. The wall is not curved. That’s some funny lens setting, but it shows enough of the space for me to make my case. That dining set is way too formal for this casual family room with a fabulous leather club chair. Not wild about the stone color. At least not in these images. But it’s not terrible either. What is not-so-great, IMO is there’s too much dark mahogany furniture for what is basically a casual open concept living space. Maybe it used to live in a different home and now it needs to co-exist in one room in this home? OR, maybe it is Susan’s mother’s furniture and because SHE downsized and Susan had to take it. And if she gets rid of it, Mom will cut her out of her will? Maybe Susan doesn’t mind the disparity? I’m the girl with a make-shift drapery rod in my bedroom. haha. But, I’m going to ‘pretend-fix’ this room to my liking, window panels and all. Susan, is bemoaning the lack of light. But… there’s a ginormous window, so how can it be so dark? Thank you. That’s a very good question. The answer lies in the image with the curved, but-not-really-curved wall. Please scroll back up and then we can see that the culprit is the large overhang over the patio. It is too much to expect this window to bring in as much light as it is given the circumstances. It’s like putting weights on someone’s ankles before they go and run a marathon and then expecting them to come in first place. Covering up a bit of this window is not going to make an iota of difference to the light, but doing something weird with the window panels will, to the aesthetics of the room. And the latter is vital. Yes, we can fudge a little, but nothing too drastic. However, we are going to need to bring light and life into this space from other sources. I do not know what else is going on because I can only see 2 walls and a bit of the fireplace wall. But, I can make an educated guess. I imagine that there’s a kitchen adjacent to the dining area and perhaps the entrance to the home, next to that. What we need to accomplish, is to marry these two divergent styles replacing as little as possible. I would start with two seagrass rugs. (on sale at Pottery Barn) This one thing right there, is going to make a tremendous difference. One for the dining area and one for the living area. The seagrass is going to immediately marry the two styles like nothing else can. For more info about seagrass and how fabulous it is, please click here. Next on the list are the dining room chairs. Nothing wrong with them. They are a classic Thomas Chippendale repro. But, it’s a lot of formal dark wood and that’s not working IMO. To lighten the look and knock back the formality I would like to add some slipcover skirts to the dining chairs out of an off-white or natural color linen. Pleats are nice too. The one above looks like the skirt doesn’t go all the way around, but it can and it should. Okay, I know that this next part is going to have some of you cheering from the bleachers and some of you thinking I’ve lost my marbles. But, I think it would be a rollicking great time to get some chalk paint and paint the chairs a rich teal color. Something like the color of this high boy. Stop it! It’s an awesome look. The woman I worked with, for four years in the mid 90’s had green painted chairs a lot like these in her shop and they were most fabulous. (and great for a shiatsu back rub) AND, she was THE most traditional decorator this side of Mario Buatta. Everyone knows Annie Sloan chalk paint, but I found a cool company on Amazon which has a million five-star reviews. It’s called Chalk Mountain. They have a pretty teal color, but it’s not quite dark and antique enough. I would play around with adding some navy and black and then an antique glaze. And then we need mirrors to reflect the light. We need a really big one over the buffet. I love the Jasmine mirror from Pottery Barn. It’s only 34″ which is not big enough for the buffet. I need more time to find one big mirror, OR, look on Chairish for fabulous mirrors. but we could also do two of these side by side. The mirrors should be a few inches less than the width of the buffet. So, our buffet should be at least 72″ to do two of these mirrors. If you buffet is 54″ or less, this mirror will be fine. But if there’s one piece I’d like to change, it’s this buffet. Please hear me out. 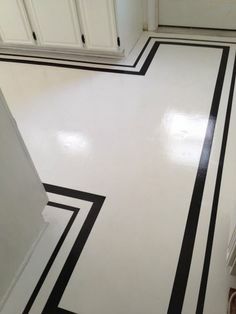 This piece is the epitome of bastardized “traditional.” If it was not, I would suggest painting it, but it should never have been created in the first place. This is no reflection on its owner. In fact, this type of furniture is so prevalent in the market-place that if one doesn’t know what to look for, it’s difficult to avoid. I’m on a crusade to rid the world of the ersatz, fake and phony. I still love this piece. It might need a little tweaking with the paint color, but the price is superb and the lines are gorgeous! Oh WAIT!!! OMG! They caught their mistake and the price went back up! Oh, I do hope some of you got to get the piece at the mistake price of $769 I think it was. Then, we need some gorgeous lamps to augment the lighting. The two lamps in front of the mirror are going to set off the most dazzling sparking light. All of the gorgeous Bradburn lighting is on sale at One King’s Lane. I love this brand. How fab would these two teal lamps be with the gold lining inside the opaque shades! In the living area, I would layer the seagrass with a beautiful smaller Oriental rug over it. There are so many, but this is one of my favorites. (on sale at One Kings Lane!) Great colors. There are more coming up. I would like to see more of these rich colors. These changes are going to elevate this room enormously. And now, I’d like to go back and go over some window panel options. I would keep the drapes fairly simple and not too opaque. So, no black-out lining. But, we could also do a little pattern. The Cordelia Curtain From Anthropologie is pretty cool, I think. We’ll need the 96″ size and since it has to be cut down a little anyway, I would flip it upside-down so that the pretty hem is on the bottom. And then we can have the side border going down both ends of the drape, (as we need to sew together two panels in this case) but please read the post about the drapery return and other technical issues. The rod needs to extend on the dining room side about one foot (including the finial) and on the other side only, about 2 inches. (plus the finial.) We will need five brackets for the long rod. Well, I’m already feeling a lot better about the window panels and everything else too. Several years ago, we did this window treatment for a client with an 18 footer. There’s a little lens distortion, but you get the idea. Please enjoy some other ideas and pieces as possibilities for this room, below. Laurel you turned a reader’s question into a very enlightening post that resonated with so many readers. I hope Susan will follow up with you. For Susan: I happen to love the window as is. Laurel has provided you with a highly detailed plan to answer your question and gone further to deal with the room. Now, I wonder if you, Susan, postpone the curtain and rod purchase and instead dial in rugs, mirror(s) and art and then take a look at the space. Will you still need/want the curtain? Not that it wouldn’t be pretty. It was never going to be for privacy and the rod will be custom….maybe some or all of Laurel’s suggestions will work for your budget. Good luck whatever you decide. For sure, you got expert advice from Laurel! Leesa mattress in a box! great price…great comfort! No, you’re not being dense. It’s the window that’s being a pimple. There are hard and fast rule. It’s fine to make the rods extend the same. But I thought that leaving more room on the right would allow for some art, perhaps. Laurel, I love your blog and feel I learn so much! Thank you for so generously sharing your talent with us! I am trying to understand the “rules” on furniture styles. Is traditional furniture “bad” unless it is either an authentic antique or an accurate reproduction? Does the same rule hold true for Chinese dynasty-style, mid-modern, etc. So confusing! To my admittedly uneducated eye, the buffet, although not my taste, wasn’t earth-shatteringly offensive. Thank you so much JB, but first off… I have no secrets haha. The truth of the matter is that I’ve never specified a mattress in my life; and believe it or not was never asked to. Usually, I just sent them over to Sleepy’s. It’s such a personal decision. I’ve always felt that it was better to leave that up to them and they liked that. I did do a fair number of “bunky boards” when I had a rash of Grange beds circa 2001, but no actual mattresses. For myself, I’ve always called 1-800-mattres (leave off the last s for semi-sucky) Tempurpedic is great for some. My sister, in her quest for the perfect mattress went to Charles Beckley many moons ago. And even with my designer discount spent a small fortune and wasn’t actually that happy with it until she put a thick topper over it. However, they are supposed to be le dernier cri in mattresses. So, there it is… This would be a great topic for when I’m away and then I can compile all of the terrific sources for the updated rolodex. Laurel, what a fun, fun post !! You hit the nail on the head as usual . I am getting some ideas myself for how to tweak or update a room and how it’s not always necessary to get rid of “your mother-in law or grandma’s hand-me down furniture”. SO many great ideas and products here, the rugs, the mirrors, the lamps, painting the dark furniture, etc. This will be a really beautiful room for sure. Loved this post, thank you. I have reread all your posts on windows many times. You are so funny and smart and I love your style. I am a traditional girl living in Northern California and pining for the English countryside. We moved into a farmhouse style home six months ago that I adore. I have been talking to my Sitting room windows for months to determine what they want out of life but they just whine at me. Three windows cover the west and north corner of the room with very little space for anything but a single width panel between. I am afraid one width will look skimpy even though they will be stationary and I really don’t want to overhang the operable side of the window sliders or lose my view of the oak trees outside. I was advised to use the same fabric in the sitting room and the dining room because you can see into each room at the same time. I haven’t found a fabric that works for both rooms. I have a wonderful oriental rug that is dictating to both rooms. Have you ever done a post on choosing patterns to complement a bold oriental rug? Maybe other people are struggling with this also. I’m a little confused about the oriental rug. It’s in one room but I don’t know what’s in the other room, on the floor. I have done it both ways. The same fabric and different, but coordinating fabrics. You know, you are right! And I really did not “see” the sectional, but I would have if I was there. Apparently, they do not use the doors. I see that there’s access also around the corner. Whether there’s a better solution or not, I’m not sure, but ideally, the furniture should not be butted up against the doors. There must be a Feng Shui rule about this sort of thing. As for the space planning. Again, I couldn’t address this at all, since there is too much I can’t see. The purpose of this exercise is conceptual in terms of color and style, not the flow of the room. While your ideas may be valid, without seeing the reverse view, I am at a loss to even have a clue if any of that would work. What about her paint color? I didnt see it mentioned..but I’ll admit I’m in a hurrying this am. If she was going to go thru all the updates, shouldn’t the paint be the first and easiest way to brighten this space? A very timely post!! Weird windows are running rampant in homes today. I am working on a bedroom in my own house – four windows. On one wall a window is literally slammed up into the corner with out an inch for any stack back. To further complicate matters, the windows are on the narrow side. No way to make them look wider since there is no room for stack back. Add to that 11 foot ceilings. Have you ever done a post to tackle this issue? Well, that is criminal that someone did that to that poor window and room! I have done corner windows that fit into the corner. But this is what I would do in your sitch since this one is easy for me. I would put a panel on one side only and extend the rod out two feet to give the impression that the window is larger than it is. Of course, the vertical window casing needs to be covered. Hi Laurel – Love, love, love the hits of teal in this space. I think so many of us inherit family “heirlooms” and just have to work with them in a big empty house. My first year married I inherited an oak dining room, buffet and china cabinet and all the holiday hosting duties, to boot!! Mom sold her house and started traveling the world! That’s a great idea about the Ikea panels. Yes, there could be a slipcover for the top of the chairs as well, but I’m not sure about this particular chair. That’s a very good question. If it was the buffet in the widget, the color might work, otherwise, probably a tone just a little deeper than the walls with a light antique finish. itch to get into that room & work your magic Laurel ! I certainly did too….! burns when there is such fun to be had making the room sing, first. shoved the furniture around for the photo. 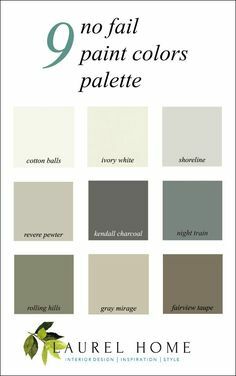 your colour advice & the wonderful examples of rugs etc that you have provided. I am a colour & fabric junkie & I would be in there in nano seconds to make this room sing. Thanks for including my leopard pillow in your widget! I’m going to pass along this post to my mom, who is in need of a classic-looking sleeper sofa, as I’m loving the one to the left of the leopard pillow in the widget. Again you have hit the nail on the head! Thank you for all your thought processes on how you figured things out! One question though. My dining room is 12 x 12 feet square; how big should the carpet be under the dining table. I think 8 x 10 is too small as chairs would go on and off when dining, which is very rare. And a 9 x 12 would be too long. I was thinking about having some type of patterned broadloom cut and bound to fit, 11 x 9. Possible? Thanks if you have the time to consider the question. And what about the chandelier in the dining room. Should Susan keep the cut crystal traditional that is shown in the pic? Yes, I have had to do custom area rugs many times in dining rooms. I do love seagrass because it’s so great looking and also stain resistant. Very practical. i don’t understand the C rings. why do i need those specifically if i want my drapes to close? the arc seems shallow–wouldn’t they slip off the rod? full circles are a no-no? why? why? aughh! my head! Forgive me. I was going to put them in the post but didn’t. I can explain. Normally, one doesn’t need C rings with a decorative rod. UNLESS the rod is super long like this one and the rings need to be able to get past the bracket so that the drapes can bloody close. That’s only IF the drapes need to close. It makes me want to scream! Why do husbands get the final say? Who left them in charge? Why do so many woman just go along with what the husband wants & says? What about what the wife wants? Isn’t this 2017?? hahaha! Well, you are preaching to the perverted. I mean converted! My personal peeve is the husband comes home and wife has to DROP EVERYTHING, the SECOND he walks in! sure. after my nails have dried. I just want to say that yes yes yes that Etsy shop (the rod etc one) is amazing! They were the only ones whom I could find to have normal tapestry holders made..great quality, great everything..I needed something very particular-in terms of color, being close to the wall, etcetera. They were seriously overbooked-had to wait for month and a half I think..but these guys are truly great. Not cheap but why should they be when everybody’s charging so much for nothing? They at least deliver, you know? I would probably love your old rustic French buffet, but often-times people’s tastes change as time goes on. Omigosh. So my “antique” dresser set: One high, one low, yes maple, stained orange with high gloss (great price about 20 years ago though)… I can strip and repaint any color I want. Yes, you can! BUT– with milk paint, I don’t believe that you need to do any stripping. I’m not a milk paint expert but do know that the beauty of it, is it’s ease of use. There are a ton of tutorials on youtube, certainly for Annie Sloan products. I think I’d take the overhang off and install a retractable awning. The retractable awning is a great idea. I didn’t want to get too much into space planning, because I can’t see the entire space and because of that, I can’t make any recommendations about that. You might be right and you might not be. And I have no idea what the rest of the furniture is. I am not presuming that it’s all leather. In my mind, it’s not, but it might be. I did rescue a cat– back in 2001. Peaches and he died nearly three years ago. I can’t get another one. Too painful.